cdcindonesia.com - The morning spirit of all job seekers, here is the job vacancy information coming from one of the companies engaged in the construction field, namely:PT Hutama Karya (Persero) was originally a private company of Hindia Belanda named “Hollandche Beton Maatschappij”. In 1961 the Company was nationalized with PN Hutama Karya through Government Regulation No. 61.1961 on March 29, 1961.Along with the rapid development of the economy, the Company revitalized itself by developing the the business in private sectors.Changes in strategic environment requires us to always change. 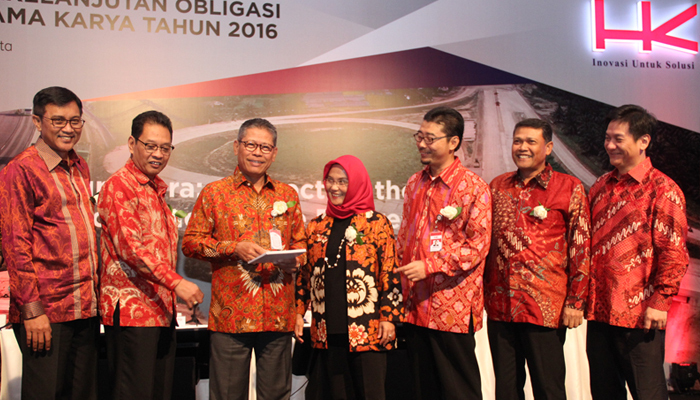 Various plans in the future have been implemented, one of which is performing transformation in line of business.Today, Hutama Karya Persero (HK) has become a top 5 State-Owned Enterprise in construction industry. For 54 years, HK had taken an important role at infrastructure-development in Indonesia. Experienced in many historical architecture at that time, HK now had risen itself to involve at the construction industry completely. HK no longer working solely on construction services industry but rather, has advancing toward energy, EPC, and manufacture industry.PT Hutama Karya (Persero) as one of the leading state-owned enterprises in the construction services industry that is being transformed to be a Toll Road Company in Indonesia. PT Hutama Karya (Persero) has a strong belief that employees are the best assets of the company. We recognize that equality in recruitment and the potential talent development is the most important thing to fulfill our vision and mission. Currently, PT Hutama Karya (Persero) opens the opportunity for the best Indonesian candidates to join through Management Trainee Program. For more information and submission, please refer official source from ECC UGM on following link below.